While other reviewers did not seem to care for this documentary, we liked it. 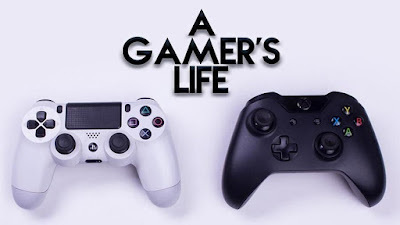 There are no dizzying, OMG-I'm-Going-To-Hork video shakes and the film mentions specific resources for those who might be interested in becoming a gamer, full-time. We learn that it is hard to be a gamer full-time and that the money is hard to get, if this is how you wish to make your living. The documentary focuses on only a handful of gamer,s and one of them enjoys drinking beer and just playing. However, others speak of hours, just sitting and playing. They talk about the competitions, the odd social life and the friendships. One of the gamer's had just completed a Bachelor's degree. If you are the slightest bit curious, you owe it to yourself to check this film out. We saw it on Tubi TV. So, it was free. Sweet.